Friday’s I have decided to encourage others to engage in the reflective practise of blogging followed by my sharing of their work here at The Principaled Life. Today I am honoured to include teacher voice on my blog. That of Jodie Nardone. Mrs. Nardone teaches and learns at Eastwood Public School. She works with ELL students and students that access the Special Education Resource Room. Mrs. Nardone has used class blogs for some time. She is an active Ontario Educator on Twitter. Most recently I challenged her to use her blog as a reflective practise tool. The result of our Skype calls is the rejuvenation of her professional blog. She shared this initial story with me as she most recently chaperoned her students, along with her teaching partner Mrs. Silvestri, to the Windsor Mission. This trip was the result of her students digging deep to truly understand the need and process that our most vulnerable citizens go through for the basic necessities of life. Enjoy. I am pretty confident with the why and the what about Inquiry. I’ve been struggling a bit with the how, particularly how it looks in my SERR (Special Education Resource Room) classroom. Until recently, and quite by accident. In keeping with the spirit of the season and at the same time respecting the many cultures in our building, my teaching partner @SilvestriESL and I decided to decorate our school Christmas tree. It sat bare, save for a few strings of lights, at the main entrance of the school. We would decorate it with mittens and scarves to donate to people in need in our inner-city. We would call it the “Tree of Warmth”. It became a provocation for inquiry. 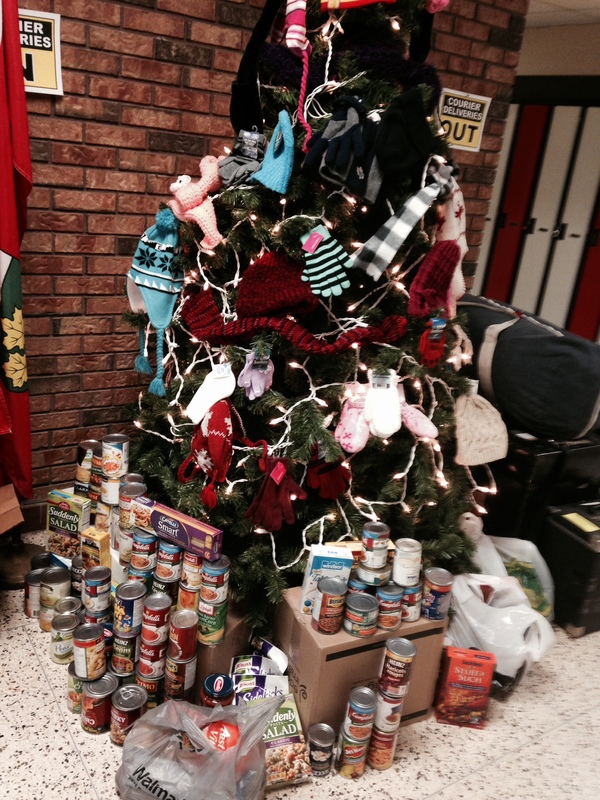 Each day more items were added to the tree by the kind staff and students of our school. My students began to ask questions. Questions about why we are collecting these items. Questions about what we were going to do with all of the items the students and staff had collected. This prompted us to do some research and watch some videos. Together we decided it would be a good idea to deliver the donations as a class to the local Downtown Mission and get a first hand look at the impact their kindness has on our own community. We packed up all the items that had been collected, hopped in the cars and headed to the Downtown Mission where they welcomed us with warmth (despite the fact that their furnace had broken that morning). The Students were given a tour of the building by MaryJo, the Community Outreach Coordinator, with an explanation of what happens there. When asked at the start of the tour what was special about Eastwood school, in typical Eastwood fashion, students responded with answers like “because at Eastwood we are kind”, and “people there are respectful to others”. 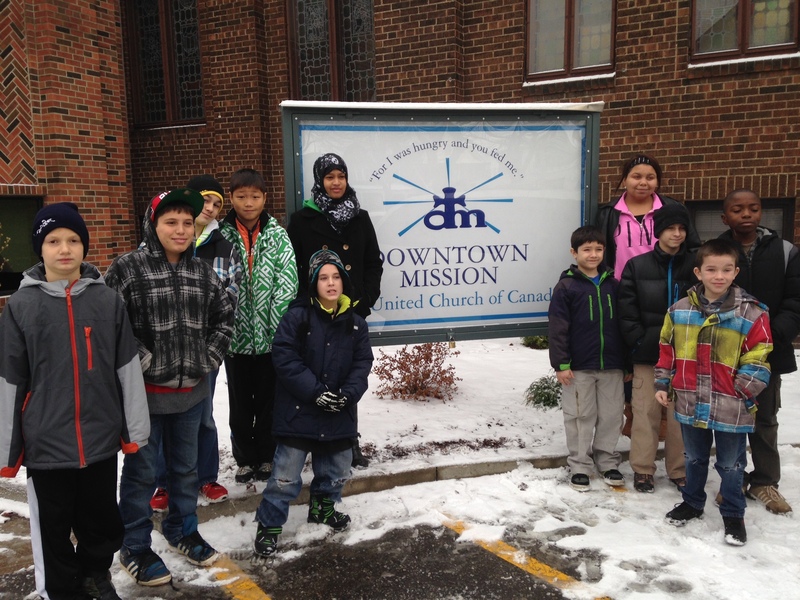 Our visit to the Downtown Mission has since inspired our class to do more and thus began individual student inquiries. The students learned that the food items needed most are proteins like tuna and peanut butter as well as boxes of cereal. They brought that data back to the school and used it to create what they called a ‘7 Day Cereal Challenge’. They were on their own ‘mission’. With minimal direction from teachers they researched more information about the Mission on their iPads, prepared a presentation to share with all classes in the school, designed and hung posters, wrote and read announcements, and created videos using iMovie on the iPad to advertise their challenge. Students who are not easily motivated were engaged and students who ‘don’t write’ suddenly had a purpose. Ali was inspired. He wrote, practised and delivered morning announcements to motivate his student colleagues to take part in the challenge. Each morning they are collecting, tallying and graphing the total donations coming in. This is just the beginning for us. Our intent was to collect and donate hats and mittens to the Mission. It sparked more. While not a traditional inquiry, it certainly lead me to understand how student ownership of the learning increases engagement and the moral purpose of education. Where will my students go next with investigations around poverty in Canada? 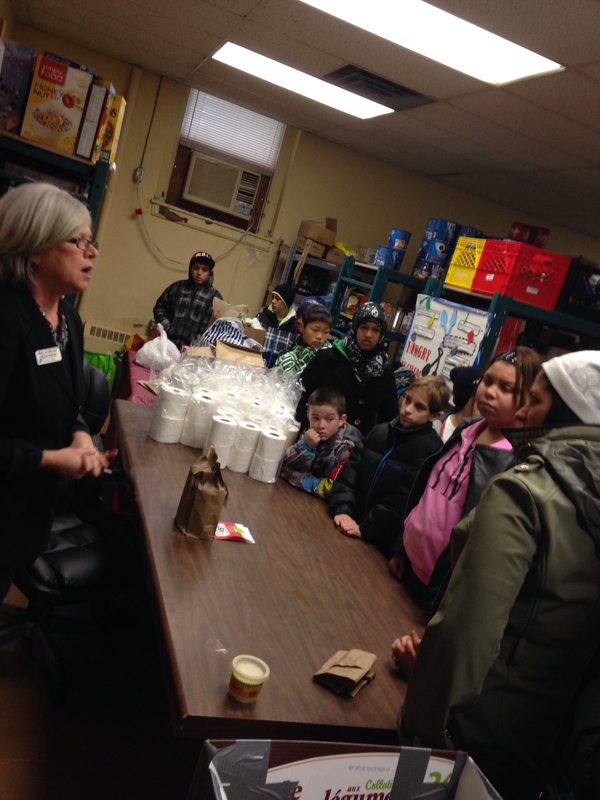 Please listen to MaryJo describe the Foodbank and the personal care room. The New Tag (thenewtag.wordpress.com) writes about happiness in a Blog entry entitled: Want kids to be happy? Teach gratitude. I learn so much from kids everyday. Especially from the contrast between those at work and those at home. Thanks The New Tag for reminding me of this event in my life. I attempt to bring the kind of happiness my daughter feels to the students I work with everyday. We all have so much to be thankful for, to be happy about. According to my daughter’s list they are one and the same I presume.